Verpakt in zeer handzaam pakketje, makkelijke in en uitstap, 100% waterdicht! 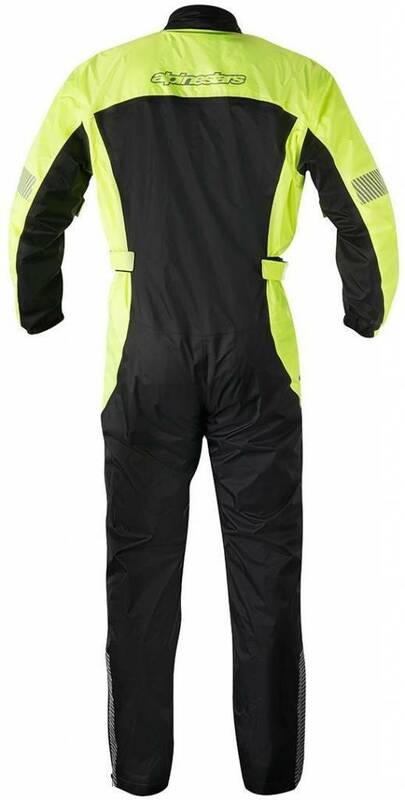 With an ergonomic front zip to allow for easy in and out, the highly versatile and extremely lightweight Hurricane Rain Suit offers 100 per cent waterproofing for when the bad weather closes in. 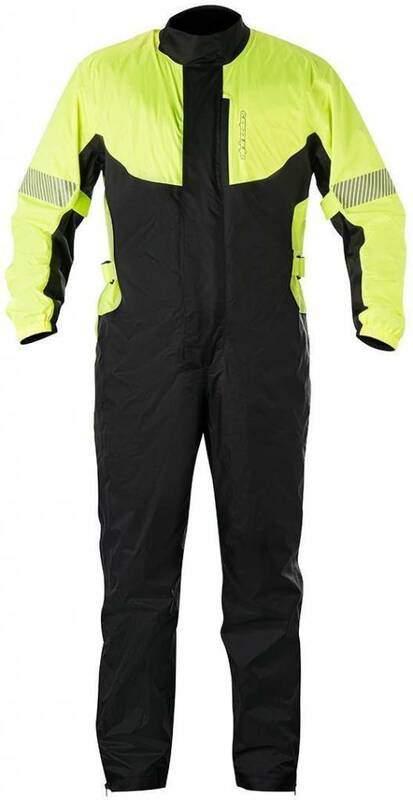 Comes with its own transport/storage bag, making it an indispensable part of your motorcycle kitbag. 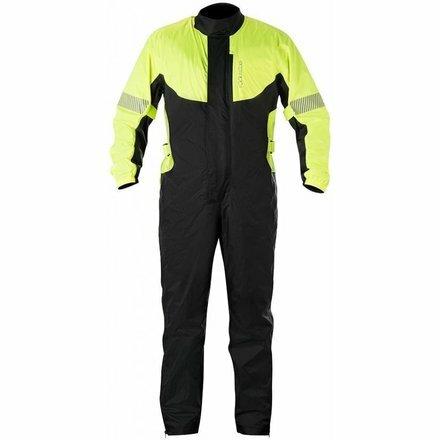 Constructed from ultra-lightweight, PU coated 100% waterproof poly-nylon fabric that has been specially treated to avoid sticking when worn over textile or leather garments. 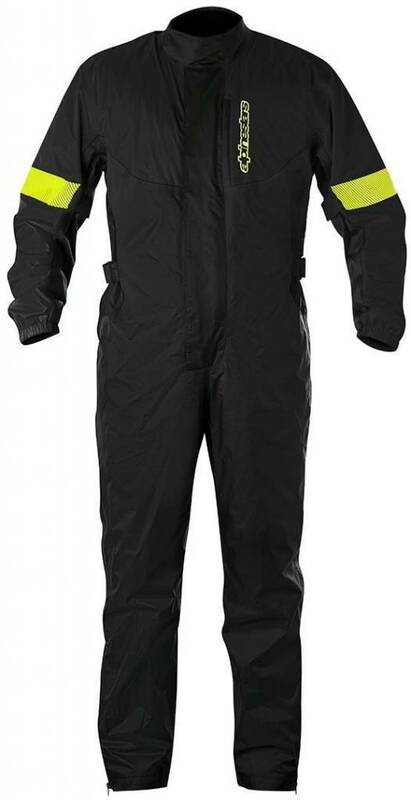 (Black fluo colorway incorporates poly-textile panels for colorfastness). Ergonomic twin slider main zip runs from thigh to chest and allows for easy in and out of suit. 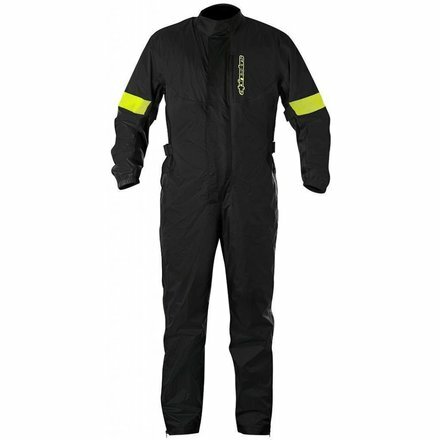 Velcro adjustments on the arms ensures close fit over outer garment. 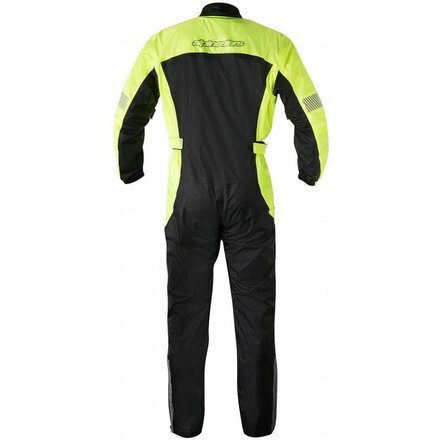 Elasticated collar, cuff and lower leg hem help form hermetic seal to avoid wind and water penetration.